Why, you may ask, did I choose to go to this place? Because I had never been there. It did not seem like the kind of place that I would like; I predicted a place filled with gated communities and golf courses. Which, it pretty much turned out to be. That, however, made it interesting, as I got to see how the other half vacations, so to speak. I got up early in Chapel Hill and drove about five or six hours, pulling off I-95 at the Hardeeville exit, the last exit in South Carolina before the Georgia border, about thirty miles from Hilton Head. I left the white Honda in a hospital parking lot. Hilton Head itself is about twenty miles long, if you bicycle it from end to end. I took the trusty Long Haul Trucker out of the trunk and pedaled off. Inland, before Hilton Head, the powers that be in South Carolina have invested in wide roads with bike paths. 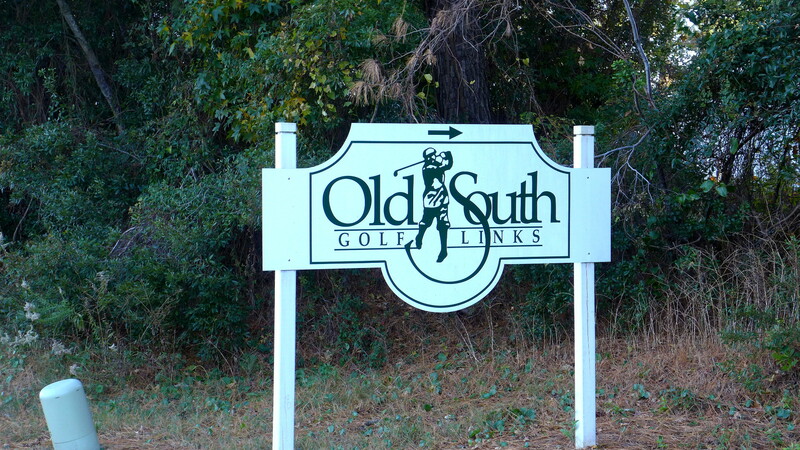 These roads pass through mostly empty woods and swamps, having the roads ready when new golf courses come. It gives a bike rider a very safe ride for about twenty miles before the bridge to Hilton Head. 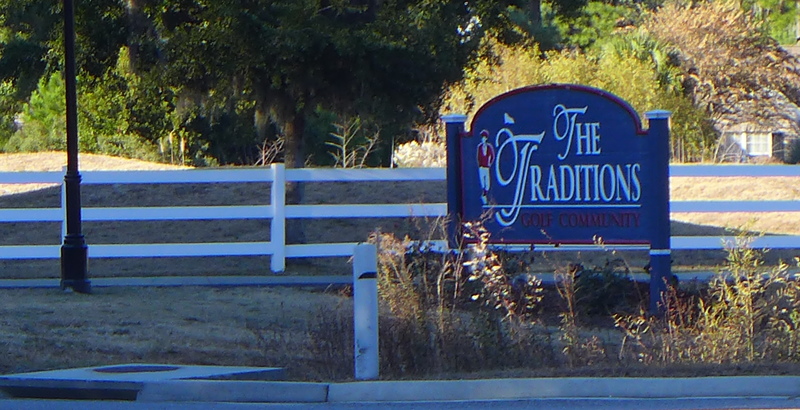 They are a few golf course communities before you actually get to Hilton Head Island. Developers are clearly starting a community from scratch; I doubt much was here previously except pine trees. I guess they can create traditions, or at least pretend they exist. 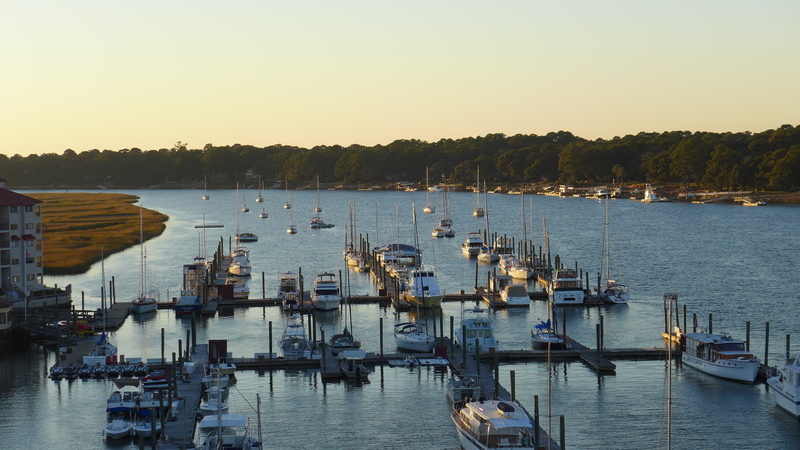 I arrived onto Hilton Head Island late in the afternoon. Cycling around that afternoon, and again the next morning, one is constantly confronted with signs about security. I guess people that vacation here are more comfortable when they think that no one except a privileged few can drive in from of their vacation condo. Maybe it fits into the current paranoia of our society. Clearly the schtick of exclusivity sells here. Cycling would have been even nicer if these gated communities would let a random bicyclist enter. I am sure I looked threatening. I spent the night in a random low cost motel on the highway. Across the big highway, just a ways down from my motel, was a cozy high end restaurant. 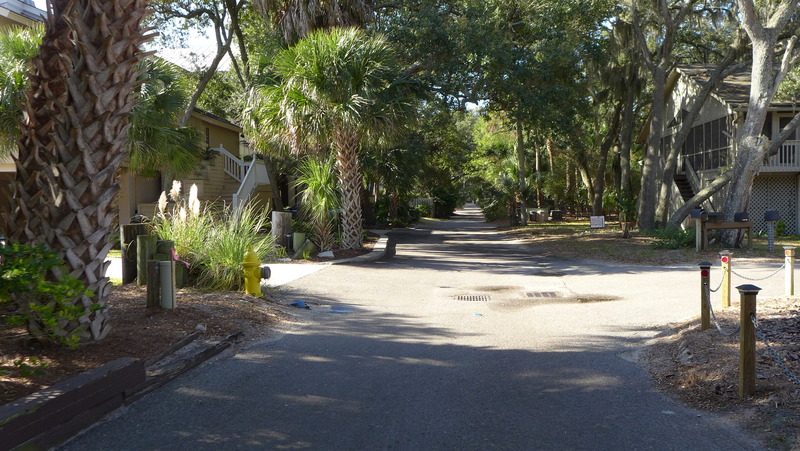 There are virtually no street lights on island; it allows Hilton Head to sell itself as an underdeveloped non-urban place, even though the island is pretty much built out. 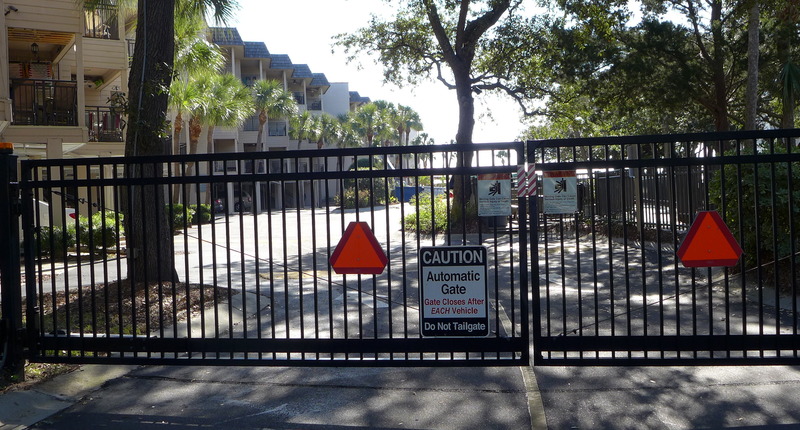 Hilton Head is almost psychotic in its rejection of urbanism. One cannot pleasantly get anywhere by walking, except to walk around a neighborhood in circles. That evening, I pedaled down the highway bike path a quarter mile in the dark before crossing the four lane highway and going into the 843 Bistro, in a strip mall next to a Fresh Market. I sat at the bar by myself. 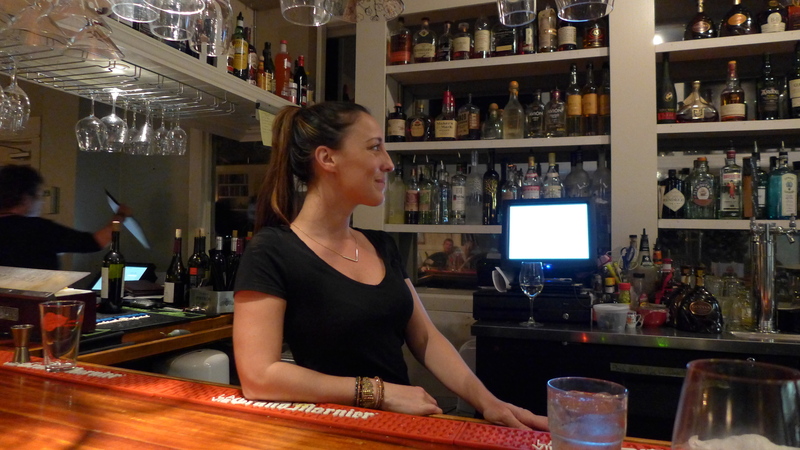 The bartender was helpful and almost too conversational. She said that a big percentage of visitors to Hilton Head come from Ohio. The food got points for creativity, but the chef was trying a little too hard. 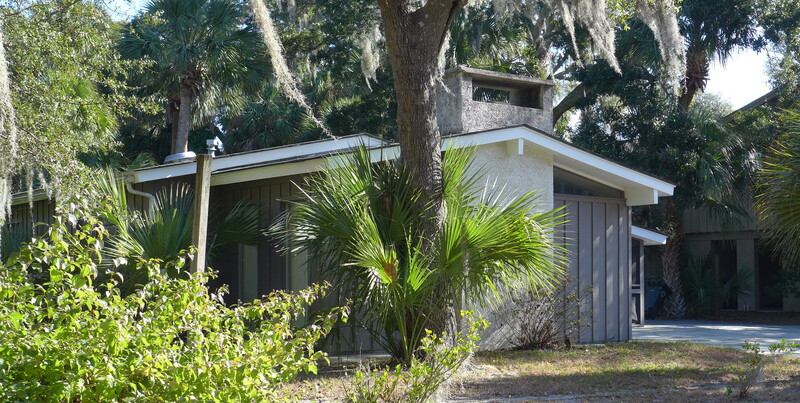 The one area of the island that I really liked was the oceanfront neighborhood near North Forest Beach Drive. It did not look anything like a planned community, and had the occasional sixties modernist house. Of the beachfront neighborhoods I have visited all over the entire East Coast, I cannot recall any having an oceanfront strip of houses so completely and comfortably in the shade. Dune Lane is really lovely. The next day, I rode back the way I came. I stopped for a late lunch at a place in a strip shopping center just inland from the island. Called NEO, it billed itself as a gastro-pub. It was expensive but delicious. The guy had a great British beer selection on tap, but seemed startled at my selection of porter, in that he said a big percentage of his clientele chooses Bud Light.